The holidays bring an abundance of joy through family gatherings, gift exchanges and of course sweet treats! As you buckle your chinstrap to brave the grocery store this week remember to plan, plan, plan – this will make your shopping trip easier and less stressful. Remember that people living with Celiac disease or gluten intolerance also like to partake in the sweetness holidays bring, remember to have a gluten-free safe dessert everyone can enjoy, for instance poached pears, baked apples, rice pudding, ice cream or sorbet and flourless chocolate cake just to name a few! As families grow new traditions and even new foods may be introduced. This Christmas Eve I’m looking forward to the variety of fresh fish I’ll enjoy at my in-law’s home, while I wait in anticipation to roll up my sleeves and start cooking at my parents’ home on Christmas Day. I most enjoy cultural favorites such as empanada as well some delicious appetizers like prosciutto, cheese, pigs in a blanket and raw veggies with dip! Don’t forget dessert, this year I’m preparing a decadent dark chocolate Bundt cake served with fresh strawberries. In a small sauce pan, bring water and pinch of salt to a boil over high heat; stir in quinoa, reduce heat and bring to a low simmer. Cover pot and cook until all liquid is absorbed (about 13 minutes). 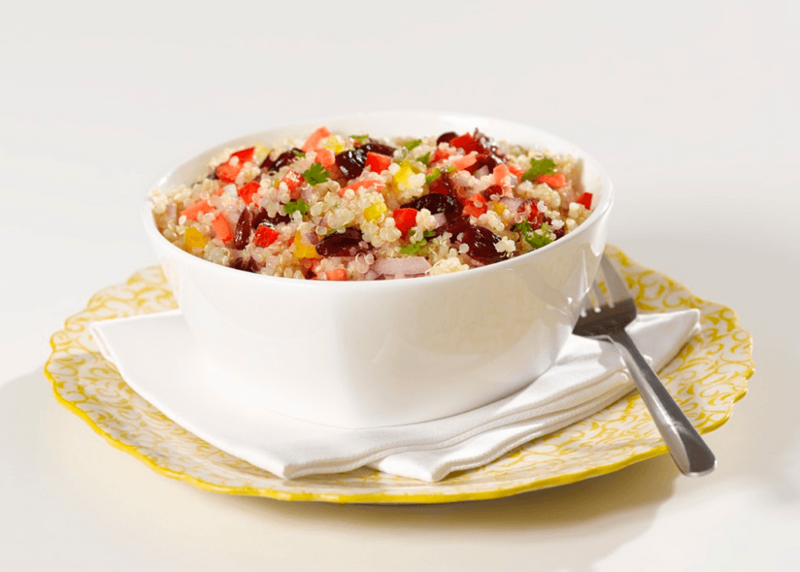 To the bowl of quinoa, stir in cranberries, carrots, red and yellow peppers, red onion and cilantro until mixed. Season beef, if desired, with salt and ground black pepper. Melt 2 tablespoons I Can’t Believe It’s Not Butter!® Spread in 12-inch nonstick oven-proof skillet over medium-high heat and cook beef, turning occasionally, 5 minutes or until almost done. Remove beef and let stand covered 10 minutes. 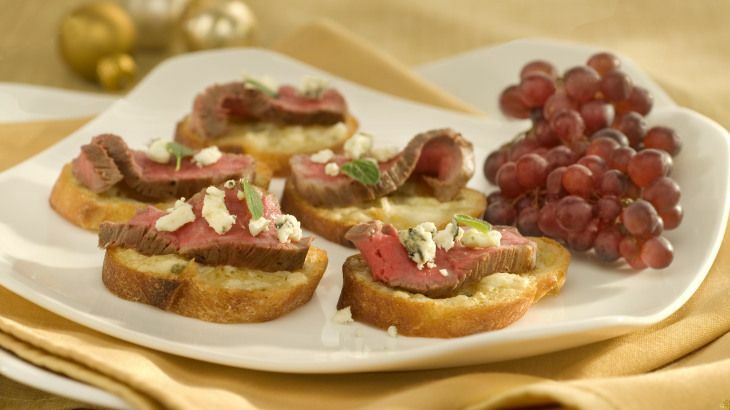 TIME SAVING TIP: Prepare beef and crostini cheese toasts 1 day ahead. Slice beef, assemble and warm in oven just before serving.